Set in Austin's Central Corridor, this all-suite hotel puts guests within easy reach of the Texas State Capitol, Sixth Street Entertainment District and much more. Accommodations include spacious two-room suites featuring a host of amenities for a comfortable stay. 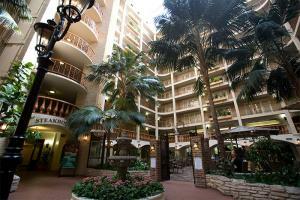 Guests can enjoy the indoor pool or indulge at Lynx Grill & Bar after a day exploring the city. Located just 12 miles from Austin-Bergstrom International Airport.